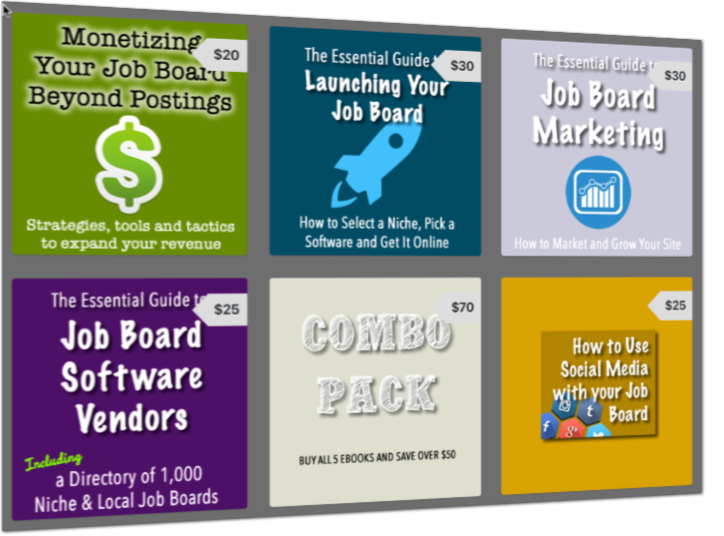 Job Board Software – Is there room for more? Do you think there’s a business in the job board software market or it is already saturated with all kinds of job board software? The industry is very mature. There aren’t a lot of people rushing to launch new job boards. There’s already 5-10 per niche. The only new clients you can potentially pick up are ones in small or new niches that haven’t been filled yet. These days the existing software providers are merely swapping clients with each other. Newer clients are hard to come by. There are already plenty of options. From Jobboard.io to WebScribble to the many WordPress job board templates we have plenty of options to choose from. And you can always build a custom one which many people choose to do since job board owners LIKE customization. If it were me I’d be building more matching algorithms and job distribution into job board software. I’d love to see more of a hybrid platform. Like ones that offer pay-per-applicant revenue models and offer job distribution. Kind of like a cross between Ziprecruiter and Appcast.io. That’s where things are heading.